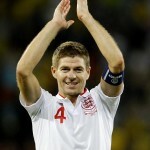 Steven Gerrard, MBE is captain for Liverpool FC and the England squad. His innate leadership qualities have seen him lead his teams to glory on many occasions, the most memorable Liverpool’s 2005 Champions League win against AC Milan. Liverpool were 3-0 down at half time, but thanks to Gerrard’s “never say never” attitude, they managed to not only equalize, but they eventualy won 3-2 on penalties. Gerrard loves Range Rovers, particularly the Overfinch upgrades. 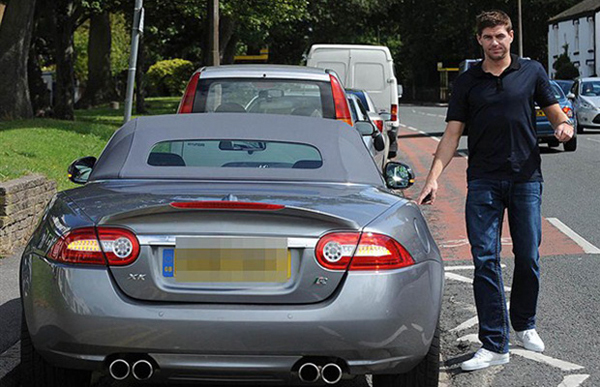 Here we see the England captain taking his Jaguar XKR for a spin. Although his wife drives an Aston Martin DBS, she also decided the XKR was the better choice to go shopping in. Despite being standard it is nonetheless a very pretty car.